Mateo joined NCLR as an Immigration Project Assistant in June 2017. In their role, Mateo works closely with the project director, immigration clients, and pro-bono attorneys to prepare documents, research, and translations for all immigration cases, including asylum, Deferred Action for Childhood Arrival (DACA), U-Visa, and family-based petitions. Mateo graduated from Mills College with a double major in Legal Analysis and Research Psychology. 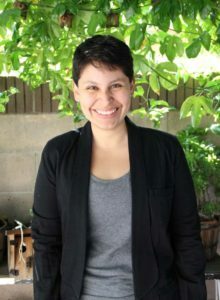 During their undergrad education, Mateo worked as a Director’s Assistant at Centro Legal de la Raza, assisting in teaching Ethnic Studies curriculum and Foundations in Law to high school students. As an undergrad, they also led Mills Leaders Across-borders Together (MLAT), an Immigration Rights Advocacy Group. MLAT provides a supportive and inclusive environment for undocumented students and students of mixed-status families through fostering conversation around immigration issues, fundraising, and challenging unjust policies on campus. Mateo looks forward to continue using their background and experience to advocate for justice within oppressive institutions.